Repairing a decayed tooth may be as simple as removing the damaged tooth material and filling the void. Many filling materials can now match the color of a tooth, so the dental work is hardly noticeable. Sometimes, though, the decay is too extensive or we've treated the tooth several times and it won't support another filling. If the tooth is still viable, we may be able to cover it with a custom crown. 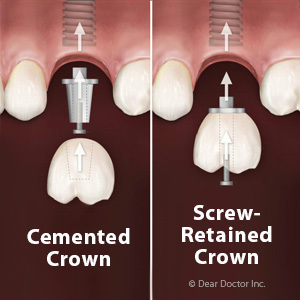 Also known as a cap, a crown fits over and is securely affixed to the tooth with bonding material or cement. Crowns have been used for decades to restore teeth, but the materials they're made of have changed with time. The original crowns were made of metal, usually gold or silver. They were strong and could hold up well to the daily forces produced by chewing or biting. They did, however, visually stand out and came to be regarded as unattractive. There were porcelain materials available that could closely mimic the life-likeness of teeth, but they could be weak and brittle. Dentists came up with a hybrid crown that could supply strength as well as an attractive appearance. These were composed of two parts: an inner metal frame for strength overlaid with porcelain for appearance. These fused crowns were the most popular until the mid-2000s. About that time, newer forms of porcelain came on the market that were not only attractive, but also durable. Although caution should still be taken when biting something hard, they've proven to stand up well to biting forces. Fused porcelain to metal is still in use, but usually for back teeth where biting forces are higher and the crown won't be as noticeable as on front teeth. 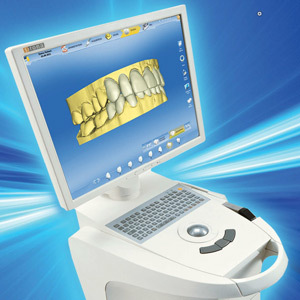 Crowns can also address cosmetic issues with chipped, fractured or excessively worn teeth. 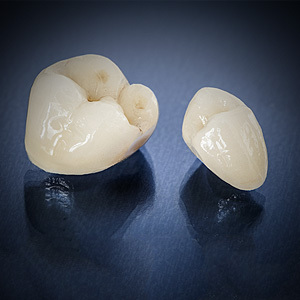 But with any crown you should be aware that much of the original tooth material must be removed to accommodate the fit. The altered tooth will require a crown or other restoration from then on. 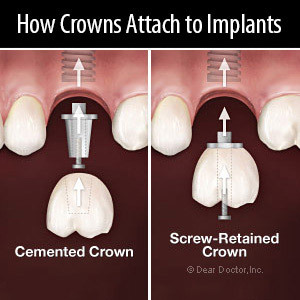 Crowns must also be custom-made by a dental technician in a process that can take weeks. Still, the process can be well worth it. 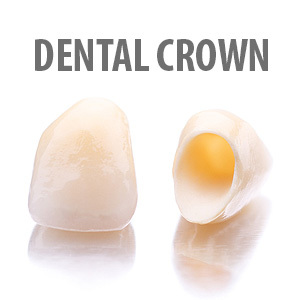 With proper care and maintenance, a crown could serve you and your smile well for many years to come.